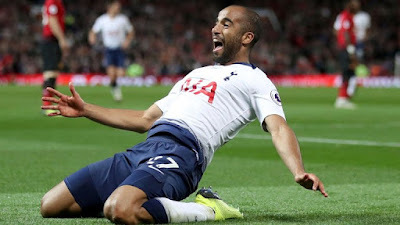 In a night where all United wanted was a win, Tottenham went to Old Trafford and taught them how the game was played and Pochettino was very pleased. Manchester United were at the top of their game compered to their last game but their defenders couldn't hold Lucas Moura down. The former PSG man was a big trouble for them all night. Harry Kane got the opener and Moura sealed it with extra two goals. Pochettino was happy with the result and he believes this is a statement for every other teams in the league. Pochettino also praised the performamce of Lucas Moura who got two goals in the game.